Cleft lip and cleft palate malformations arise when the developing face fails to fuse early in pregnancy. Cleft lip with or without cleft palate is one of the most common congenital abnormalities. The formation of the baby’s face occurs in the first trimester of pregnancy. Cleft lip is a defect of normal continuity of the upper lip and can be complete or incomplete depending on severity and structures involved. In addition to the obvious external deformity, a multitude of functional problems exist including difficulty feeding, communication between the mouth and nose, and normal speech development. Cleft palate involves a separation in the roof of the mouth. The defect may encompass both the hard (bone) and soft palate. The mobile soft palate is responsible for controlling airflow in the formation of speech. The escape of air through the palatal incompetence creates a nasal sound. The incidence of cleft lip is approximately 1 in 1000 births. Cleft lip occurs more frequently in males and is most often isolated on the left side. Cleft palate occurs in roughly 1 in 2000 births and females are affected twice as often as males. The incidence of clefting has increased due to the decrease in birth mortality rates, the increase in maternal age, and increases in therapeutic drug use. The causes of cleft lip and palate are thought to be multifactorial due to both genetic and environmental influences. An increased chance of clefting exists in a newborn if a sibling, parent or relative has a cleft (2% to 5% with one affected family member verses 0.14% normally). Environmental influences on the fetus during pregnancy include the use of medications, alcohol and tobacco. Cleft lip with or without cleft palate may be isolated or in association with other congenital abnormalities. Dr. Laggan is a member of the Sacred Heart Cleft-Craniofacial team. The team consists of pediatricians, plastic surgeons, speech pathologists, otolaryngologists, pediatric dentists, orthodontists, and oral surgeons. 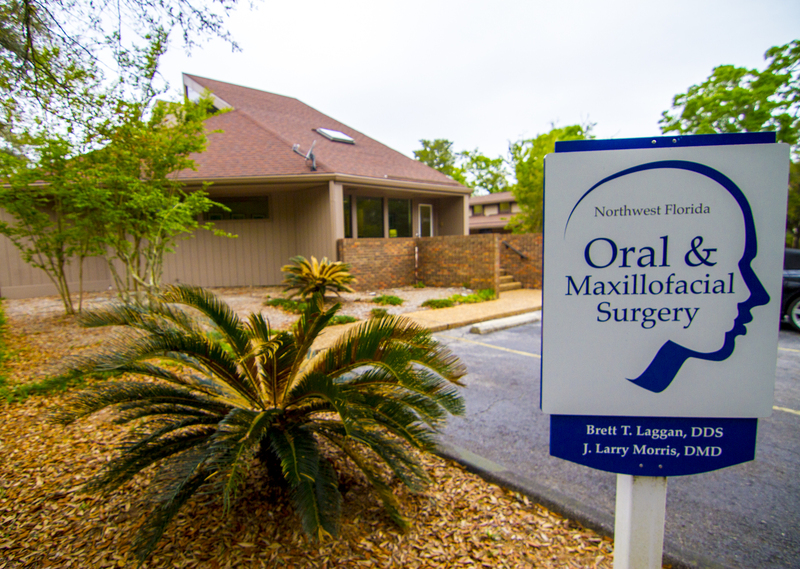 They treat the complex functional and cosmetic aspects associated with cleft lip and palate. Comprehensive clinics and meetings are held to monitor facial growth and development as individuals transition through development and eruption of teeth. Surgery is required at multiple stages for repair of the cleft lip and/or palate. The timing of surgical intervention is based on balancing growth and function. Early surgery can create scarring and slow growth. The challenge is to to delay some surgery to allow for normal facial growth. Closure of the lip / cheilorrhaphyis generally completed at 3 months of age. The goal is to restore continuity of the upper lip skin and muscle for function. The development of speech dictates the surgical repair of the cleft palate, and this surgery typically takes place at 16 to 24 months of age. Additional surgery may be required on the roof of the mouth to help improve the mobility of the soft palate during speech and to limit the escape of air into the nose which results in nasal speech. Restoring the continuity of the tooth bearing upper jaw and re-establishing an intact maxilla is accomplished at 8 to 11 years. The timing is based on the development and eruption of permanent teeth adjacent to the cleft. Teeth typically found in this region of the jaw are often absent in clefts. Closure of the commnication between the mouth and nose is also an important goal in correction of the bony cleft. Orthodontic guidance is used to aid in the orientation through the development to the permanent teeth. Multiple surgeries involving the lip, roof of the mouth and jaw restricts growth of the upper jaw, which can create a deficiency in the midface. Orthognathic Surgery to advance the upper jaw is completed in the teenage years to correct the bite. Additional surgical revisions may be required on the lip and nose to complete cosmetics and function.